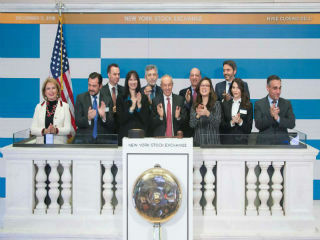 Within the context of the 20th Annual Capital Link Invest in Greece Forum the New York Stock Exchange in cooperation with Capital Link organized a special ceremony in honor of Greece entitled “Greek Day at NYSE”. Hon. Elena Kountoura, Minister of Tourism of the Hellenic Republic and Dr. John Coustas, CEO - Danaos Corp. (NYSE:DAC) rang “The Closing Bell”, ending the trading session on Tuesday, December 11th 2018 accompanied by Mr. Harris Kosmatos and Apostolos Tsitsirakis of TSAKOS ENERGY NAVIGATION (NYSE: TNP), Mr. Emilios Kyriakou, CITI Country Officer Greece & Cyprus, Dr. Konstantinos Koutras, Consul General - Greek Consulate General in New York, Mr. Nicolas Bornozis, President of Capital Link and Mrs. Olga Bornozi, Managing Director of Capital Link. to a wider international investment audience. 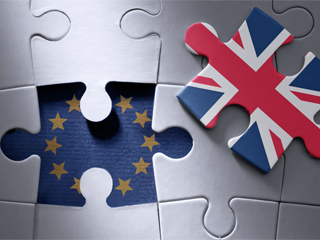 It also shows the stable support to Greece, the Greek companies, the Greek shipping industry and the Diaspora. The event was broadcasted live on major news stations in the United States and abroad to an estimated audience of 150 million millions of viewers worldwide.